This volume of the Apocalypse of St. John (or, the Book of Revelation) is known as a block-book and is thought to be one of only nine known copies of this edition. Rather than using small pieces of metal type and woodcuts, both the letters and illustrations for each page were carved in relief from a single block of wood. 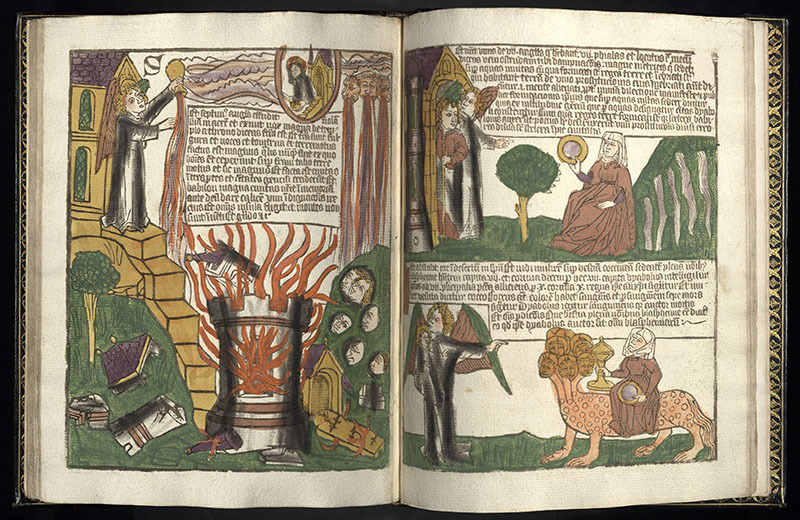 Not only a landmark in fifteenth-century typography, the Apocalypse’s tiered format with separate scrolls for each block of text serves as a precursor for the modern comic book.